When we think about the children of divorce we often think of younger children. These are the ones over whom we launch custody battles and who need parenting arrangements organised for them. But it’s not just younger parents getting divorced. Older people who get divorced also have children. 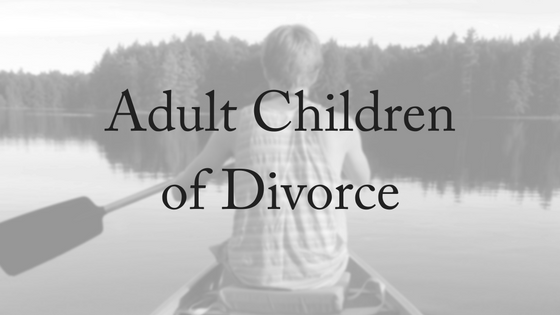 Those children are adults – the adult children of divorce. ACODS. It’s an acronym that sounds like your referring to some kind of insect. But it’s a real organisation, dealing with real problems. 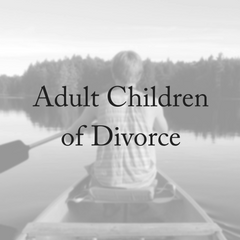 Adult Children of Divorce – a.k.a. ACODS. These adult children of divorce tend to be the forgotten ones. Being an adult in this situation doesn’t mean that there is any less hurt, sadness or confusion. It might just look a bit different. Adult children generally are developmentally less impacted by divorce, but may have to deal with tricky situations that younger children don’t or from which are purposefully shielded. The reason for this new group of people in society, Adult Children of Divorce, exists is because gray divorce is on the rise. The number of over-60s choosing to end their marriages has increased by more than a third in the space of a decade. There has been a noticeable rise in couples parting after 40 or even 50 years together. Many of the so-called “silver splitters” were prompted by husbands taking up with other, often younger, women. “Empty-nest syndrome” and early retirement are also cited as triggers after people realise that the extra time they have together isn’t as blissful as they’d hoped. Women are more empowered than ever to live independently, with their own careers and assets, and are less likely to be dependent on their spouses for retirement. People are living for a lot longer than ever before and so with that time stretched out, some are deciding that they are not going to stay married any longer. The social stigma of divorce has also decreased and it’s not uncommon for people now to be on their third or fourth marriages. One of the hardest things for ACODS to deal with is the reversal of roles. It is rare to come across consensual divorce when people are over 50, with many cases involving one of them having an affair or deciding the leave the marriage suddenly. The spouse who is left behind often leans heavily on their adult children. The balance tends to shift, and thus the fallout of an older divorce can shift disproportionately on to the children. While the example of the lawyer son is an extreme one, it’s not always far from the average reality of an ACOD. It’s actually quite important for adult children to firmly set boundaries for their parents. Healthy boundaries are good. They help both parties of the relationship. Be sympathetic and supportive, but if you’re not wanting to take sides then make that very clear from the outset. Showing your support will help you and help your parents are you all adjust to these enormous changes. Being quiet about how you feel is not helpful in the process of grieving. As well as having a parent listen to you, it’s even better to have friend who can share the burden with you. It doesn’t need to be someone who has ‘all the answers’, they just need to care, listen and acknowledge your pain. Give yourself time. Your world has been rocked, it’s okay to feel like you’re on shaky ground. You might need counseling – and that’s okay. So, we know that it’s not you that’s getting divorced, but seeing a therapist can be very good for looking after your mental health. This might be particularly pertinent if you discover that your mother of father is not the person you thought they were. It’s only natural that you might feel betrayed and now are overwhelmed as you reframe your relationship in light of that discovery. 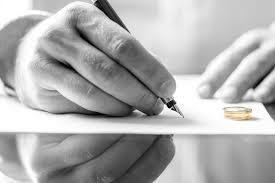 At Divorce Lawyers Brisbane, we know that divorce is often a difficult and stressful time. We aim to settle divorce matters as compassionately as possible. For a free, 10-minute phone consultation with one of our thoughtful family lawyers, please contact us today.